This decade has been a fascinating one for large pickup trucks. Looking at the market as a whole, we’ve seen a shift toward big rigs equipped like luxury sedans rather than traditional workhorses. Chrysler rewrote the rulebook by giving its Ram 1500 trucks a more car-like suspension, never-before-seen storage capability, and a brand-new turbodiesel engine. 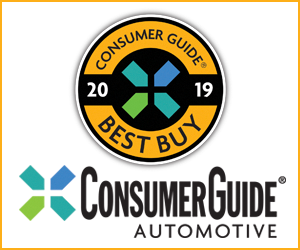 As Ford readies a new F-150, likely for a model-year 2015 debut, it’s General Motors’ turn in the big pickup spotlight, highlighted by the recent release of new 2014 Chevrolet Silverado 1500 and companion GMC Sierra 1500. We recently welcomed a Silverado 1500 into our short-term test fleet. This rear-wheel-drive tester came equipped with GM’s new 355-horsepower 5.3-liter V8 engine and, somewhat oddly, the “Z71” off-road suspension. Equipped with the LT Plus Package (power sliding rear window, universal garage door opener, rear-obstacle detection, power adjustable pedals); All-Star Edition package (18-inch wheels, power driver seat, dual-zone automatic climate control, tilt-telescopic steering column, remote engine start, MyLink infotainment system, rearview camera, rear window defroster, 110-volt auxiliary power outlet); running boards; heated front seats; trailer brake controller; cargo bed tie downs; and LED bed lighting, this 4-door crew cab came in at slightly less than $41,000, which is right in the ballpark for the segment. As critics, we see and read the standard public relations song and dance about the various improvements to a new vehicle, how it’s the best thing since Henry Ford perfected the assembly line, and so forth. After spending the better part of 200 miles behind the wheel of the 2014 Silverado 1500, I have to say that its updates are more evolutionary than revolutionary. And you know what? That’s perfectly fine. Let’s start with the engine. The previous Silverado’s 315-horsepower 5.3-liter V8 was a paragon of smoothness, but not necessarily of muscle. While the 2014 model has 40 more ponies than its predecessor, it doesn’t necessarily feel any quicker in day-to-day driving. Yet somehow, GM’s engineers managed to make this motor even more refined. I was never wanting for more oomph, but the V8’s even-keeled power delivery remains unmatched in the segment. Despite the additional horsepower, the truck’s EPA-estimated fuel economy goes up: to 16 mpg city/23 mpg highway for our rear-drive test example. Previous rear-drive 5.3-liter Silverados were rated 15/21 by the EPA. My 200-mile test drive consisted of about 60 percent highway miles, where the truck returned a shade less than 19 mpg. That’s a pretty good result for something that weighs 2 1/2 tons. The actual driving experience never lets you forget that you’re behind the wheel of a big pickup. 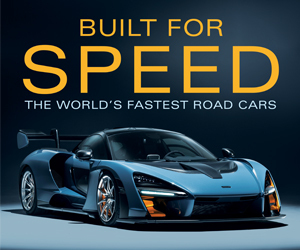 The steering is light and a touch slow, and it feels a bit tippy when going around corners. When the bed is unladen, you feel the rear end hop over bumps. The 2014 Silverado is definitely an improvement over its predecessor, but it’s not the revelation that the Ram 1500 was when it was redesigned back in 2009 and freshened in 2012. 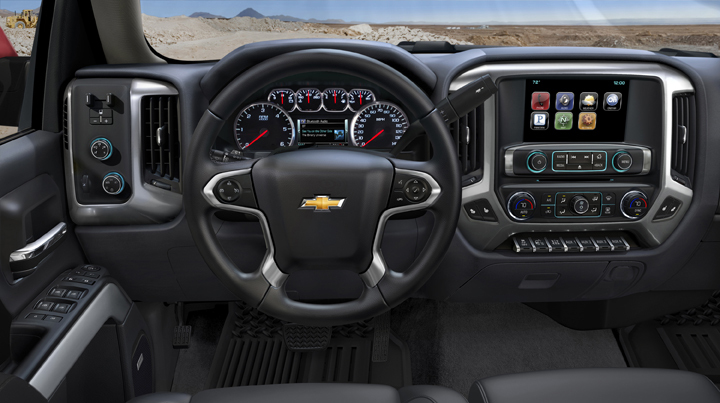 Silverado’s standard interior treatment is a noticeable upgrade from the old model’s “Pure Pickup” design. Materials are durable, but there are more padded surfaces. The controls are simple, and the latest version of Chevy’s MyLink infotainment is a joy to use, even if some parts of the touchscreen are a bit of a stretch to reach. The crew cab body style’s back seat delivers impressive legroom. The bench is reasonably comfortable, but the rear head rests have only an inch or two of vertical travel, which could prove to be a comfort problem on longer trips. 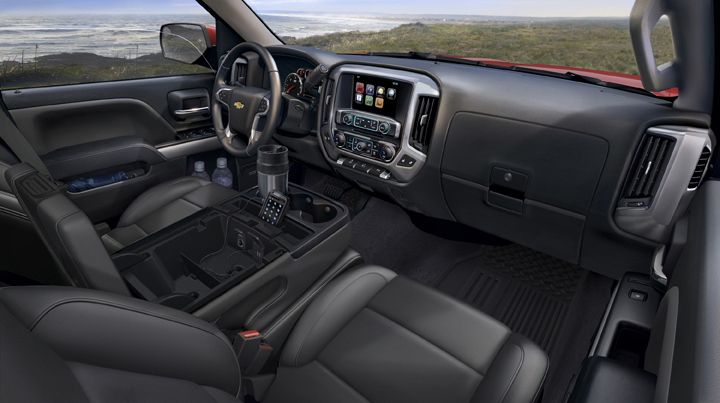 Overall, the 2014 Chevrolet Silverado represents an improvement to an already very good large pickup. It’s more refined inside and out while never forgetting what it’s designed to do. Could GM have done a bit more with this redesign? Sure, but there are still plenty of great things about it to where current Silverado owners and drivers of rival trucks should give this redone rig a long, hard look. Written by: Ed Piotrowski on July 11, 2013.on November 20, 2018.